December 2016 marked a seminal anniversary, whereby, fifty years ago, our U.S. Supreme Court enshrined a juvenile’s right to counsel; a right that is still overlooked in our justice system. Today, we still fail to provide many teenagers on trial with competent (or any) counsel in many instances, even though the right to effective legal representation is owed to anyone facing the prospect of incarceration. This right is perhaps never more important than when it comes to juveniles on trial, as our system was built on the belief that underage minors often make mistakes, but are also entitled to redemption. Access to an attorney is crucial to ensure that they are held accountable but not subject to inappropriate punishment which defeats the purpose of encouraging the young to become productive citizens. In this fifty-year-old U.S. Supreme Court case, it was a young juvenile’s defense attorney who successfully argued that the minor was deprived of his due process rights in being sentenced to six years in prison for an offense that would have cost an adult a $50 fine and two months in jail. And yet, fifty years later, many youth faced with criminal charges lack access to quality legal representation. Many are instead encouraged to waive their right to counsel, even though this directly contradicts their ability to obtain a fair trial. Some do it simply because of the uncertainty surrounding whether an attorney will ever be able to represent them, some simply because they want to go home. In fact, as of 2012, public defenders reportedly handed just 7.6 percent of the delinquency cases in juvenile courts where the families of the accused lacked the financial resources to hire outside counsel. Researchers ultimately found that minors in 13 out of 21 states routinely waived their right to counsel without even consulting an attorney first. In fact, it has become such a problem in some states that the Department of Justice had to file a Statement of Interest last year, asserting that children are regularly being denied their right to counsel in the state of Georgia. 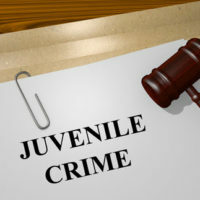 Providing juvenile defense attorneys with specialized training. Phillip J. Murphy, Attorney at Law, has been successfully representing minors accused of crimes throughout New York and New Jersey for more than 25 years. We are committed to ensuring that juveniles have the highest quality legal representation, the right to be free from unduly harsh punishments, and a chance to redeem themselves. Contact us today to find out how we can help you or a loved one.